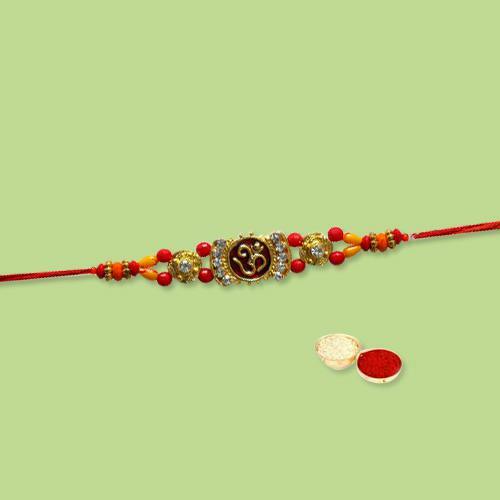 Offer the best Raksha Bandhan to your dearest people by ordering online for them, this Designer Rakhi with Beautiful Knot that comes along with a beautiful Rakhi, Roli Tilak and Chawal free of cost. Express your true sentiment with this fancy Rakhi for your dear brother is ideal to make them feel loved always. The design of Rakhi may alter.